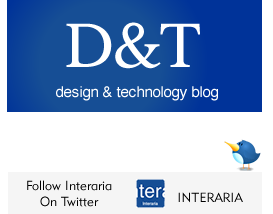 Interaria Blog - Dallas Web Design Company: Entries on website design, web application development, CMS solutions, mobile media, SEO, social media, and more. One of the most common API integration requests are for Facebook, Twitter, and Flickr. However, there are many other software systems that have an API and that offer an API integration possibility either for free or by entering into a contract with the software provider. Interaria can work with any internet connected software that provides a Web services method of accessing it over the HTTP protocol via an API that adheres to either the SOAP or REST architecture. A typical feature is to integrate an existing internal back-end management systems together with a new web-based front-end user-facing system. If your company is interested in a software application, and wants to bring some or part of that data for presentation on the web and mobile web, Interaria’s software development team can help with the API integration. We make sure all is done securely to keep the data integrity of both systems intact. We are ideally requesting for the integrated API to have an 24/7 availability via a SOAP or REST Web services connection over HTTP, or preferably HTTPS. We also prefer to set up a test environment, with test data provided, so that we can test each feature of the API. Also, if a request is made to the API, and if there is an error, we prefer to have access to contact information for help to fix any issue. Please contact our software and web application development team at 214-909-3900 for more information and for overviewing your company’s API integration options. Most companies invested in customer engagement and higher search engine page ranking results are engaged in social media. Interaria recommends an active social media strategy for sites like Facebook, Twitter, Google+, YouTube, LinkedIn, Pinterest and Instagram. Who is in charge of our company’s social media engagement? Who monitors and creates content to our company’s social media pages? What are our goals for social media? What is our content strategy? How do we share authentic content? How do we engage with our audience in social media? How do we build brand awareness in social media? How do we get more impressions and interaction in social media? How do we manage negative feedback on social media? How do we report on our social media activity? Results and authority positions in social media don’t happen over night. By working consistently and smartly social media doesn’t have to feel overwhelming. We highly recommend approaching social media like any other important task in your company: set goals, set responsibilities, brainstorm ideas, set workflows, set accountability, set reporting with time based tracking on results. Interaria offers social media management and social media tracking services for companies needing a third-party company for all or some of the engagement work on social media. We can help to create social media project plans that include goal setting, content development and sharing, and reporting on results. The highest search engine ranking results are for companies (web and mobile sites) with an ongoing strategy and active approach to content creation and media interaction. Interaria’s job is to support these goals. There are a few companies or businesses that wouldn’t want to be found at the top of a list in search engine searches. But how many companies and businesses are willing to put in the work and commitment what it takes? Unfortunately getting top results requires work. The good news is that it is completely possible. We create a search engine strategy and practical work plan for our client according to their goal setting and commitment (time/work hours/budget). Our strategy includes making sure that the web and mobile sites we develop are coded and linked according to the best practices of search engine optimization and that our clients are aware of the importance of content creation and social media participation. For clients who rather have us develop their content and media presence we offer content creation services such as copywriting, blogging, social media management and newsletter/press release writing services. For tracking and improving search engine ranking results we recommend creating a practical work plan (please contact us to view an example) that includes improving and measuring metrics in all areas of SEO. Interaria is committed in providing search engine optimization and consulting services to our clients, and make sure that they have the tools and options to reach high search engine page rank (SERP) results.